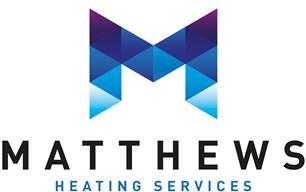 Matthews Heating Services Limited - Central Heating Engineer, Plumber based in Bristol, Somerset. Bristol & Bath central heating specialists. We specialise in installing new boilers & heating systems. Contact us for a free quote and expert advice. 2 years warranty. If you want your combination boiler replaced or your old back boiler removed and a new energy efficient boiler installed contact us, our experts look after your heating and plumbing needs. If you are looking for quality boiler installations in the Bristol and Bath areas, then look no further! We know all about the latest energy efficient boilers, so you can trust us to offer the best advice for you and your home. We can offer a range of radiators, smart thermostats and accessories to suit your individual taste. We can offer extended guarantees on our boilers. We can maintain a wide range of boilers. Matthews Plumbing & Heating will go one step further and check your system for any defaults on our routine boiler services. Please check our website to see what comes as standard on our boiler services. We carry some spare parts for Vailiant, Worcester, and Ideal boilers so we can try fix boilers on same day if possible. We take the stress out of organising landlords certificates for our clients. If required we can take the tenants details and arrange a time to carry out the work, and issue any documentation via email. This a method of cleaning out older heating systems to restore its efficiency. Sometimes if a heating system has not been installed correctly, or no inhibitor has been in the system, then this can cause the radiators to rust from the inside out. Along with other deposits, this can cause blockages in pipework, radiators to not work efficiently, pumps and other components to fail prematurely. When we power flush a system, we will add the correct level of inhibitor, and if you use us for servicing your boiler we will check the levels with each boiler service. We can replace, move, install new radiators and valves. Any central heating work taken, from installing new thermostats/smart thermostats, finding and repairing leaks, installing system filters, scale reduction, pump replacement, etc. Basically, anything central heating/gas/water we will repair and fix. We love small jobs at Matthews Plumbing & Heating. We will repair broken toilets, taps, washers, leak repairs etc. Please get in touch if you can not find what you need on this list. Chances are, that we will do that as well.